The Migrant Information Centre (Eastern Melbourne) provided 110 sessions of migration assistance to clients under the Immigration Advice and Assistance Scheme (IAAAS) and 100 sessions under the Settlement Grant Program during the period of January 1st to June 30th 2018. 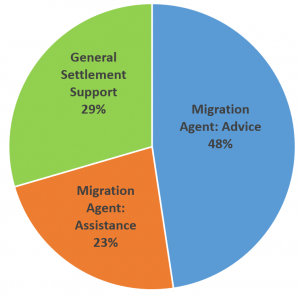 Of those clients provided with migration support 48% saw a migration agent for advice and 23% were assisted through the process. A further 29% were provided with migration assistance through settlement support services. All clients are offered the opportunity to provide feedback on the service they received from MIC. In addition, MIC conducted a telephone survey to a number of randomly selected clients who have accessed migration services in the previous six months. Below are the results of a telephone survey to clients who had accessed migration services between January to June 2018. The Migrant Information Centre (Eastern Melbourne) provided migration assistance to 135 clients under the Immigration Advice and Assistance Scheme (IAAAS) and 55 clients under the Settlement Grant Program during the period of July 1st to December 31st 2017. 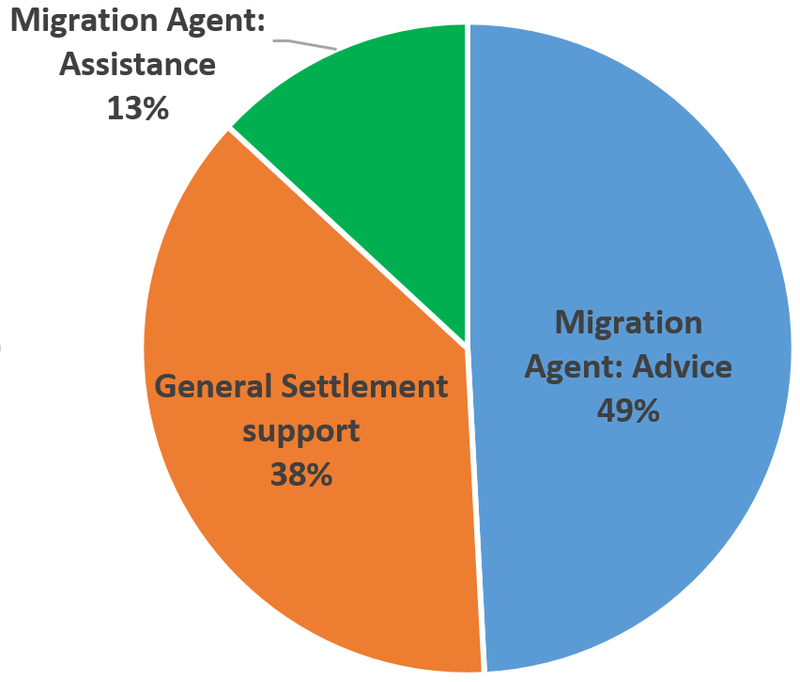 Of those offered migration services 49% saw a migration agent for advice and 13% were assisted through the process. A further 38% were provided with migration assistance through settlement support services. All clients are offered the opportunity to provide feedback on the service they received from MIC. In addition, MIC conducted a telephone survey to a number of randomly selected clients who have accessed migration services in the previous six months. Below are the results of a telephone survey to clients who had accessed migration services between July and December 2017. The telephone survey was undertaken in January 2018.